Very nice hotel lots of parking on street. Read booking's fine print this hotel charges for A/C and room safe . Owner was very nice to give us both for free . Restaurants are walking distance. Nice little beach town . The room was large, cool, well furnished and clean. The maid service was efficient and unobtrusive. It was the views from the restaurant that first made us fall in love with this town many years ago. The views across the bay are simply stunning. Room was big, view from the balcony excellent, comfortable double bed, big bathroom, powerful aircon. Everything necessary for relaxed vacation was ensured by the host and his team. 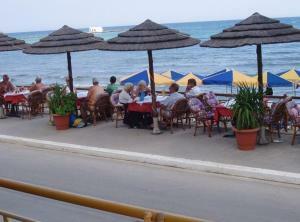 Taverna with beach view provided very decent meals. Wonderful stay!!! Great staff! They made us feel very welcome 🙏 food was fabulous!!! Excellent location right on the beach. Nice rooms. Making great host as we're all his staff. Definitely going back just love this place. The staff are all super friendly, food is excellent and very reasonable. The rooms are clean with an excellent daily cleaning service. Lock in a great price for Sunlight Hotel – rated 8.9 by recent guests! Sunlight Hotel This rating is a reflection of how the property compares to the industry standard when it comes to price, facilities and services available. It's based on a self-evaluation by the property. Use this rating to help choose your stay! 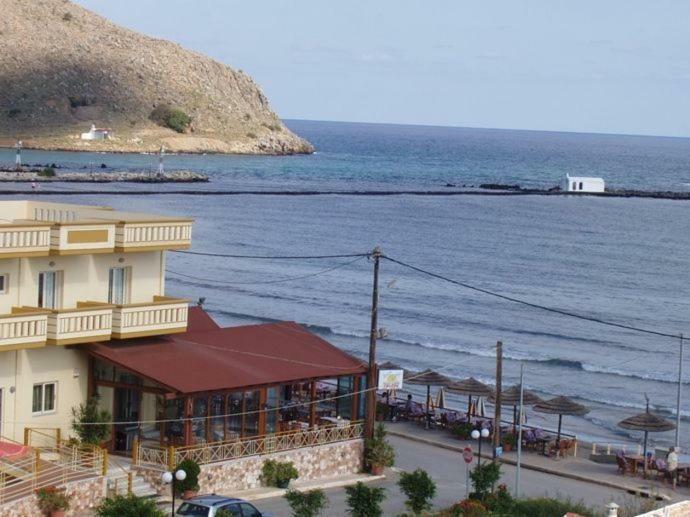 Just 20 feet from Georgioupolis Beach, Sunlight Hotel features a restaurant with sea view, serving traditional, local dishes. 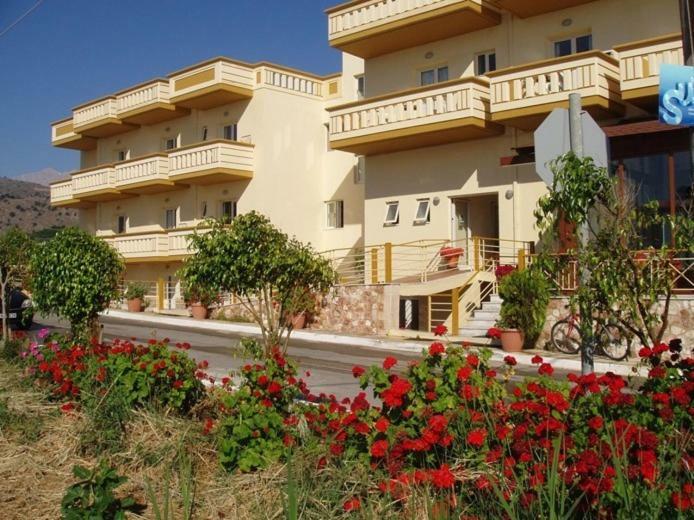 It offers self-catered accommodations with Cretan Sea and mountain views. Free Wi-Fi is available in all areas. All studios at Sunlight are bright and open to a balcony. Each has a seating area with flat-screen, satellite TV and a kitchenette with dining table and cooking hobs. Souda Port is 20 mi away and shuttle services are provided upon charge. The town of Chania with its scenic Venetian port is approximately 25 mi away, while Chania International Airport is at a distance of 29 mi. Free private parking is possible on site. When would you like to stay at Sunlight Hotel? 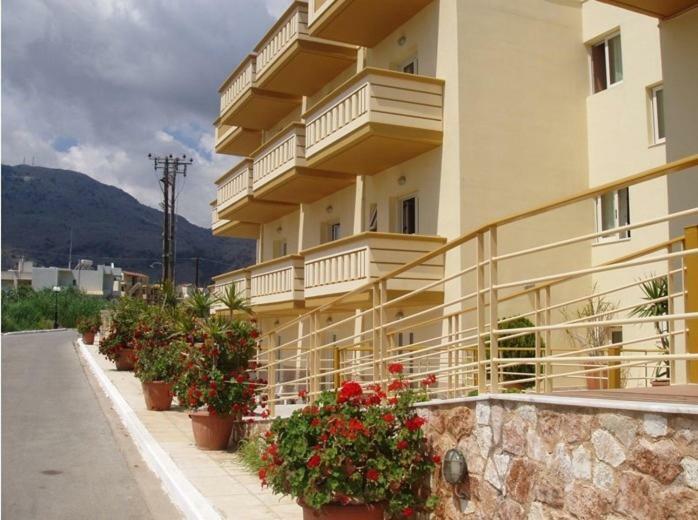 Featuring Cretan Sea and mountain views, this studio is bright and opens to a balcony. It has a seating area with flat-screen, satellite TV and a kitchenette with dining table and cooking hobs. Free Wi-Fi is available. Please note that air conditioning is provided at an extra charge. This studio has a kitchenette, tile/marble floor and balcony. This double room features a tile/marble floor, kitchenware and balcony. House Rules Sunlight Hotel takes special requests – add in the next step! Sunlight Hotel accepts these cards and reserves the right to temporarily hold an amount prior to arrival. Please inform Sunlight Hotel of your expected arrival time in advance. You can use the Special Requests box when booking, or contact the property directly using the contact details in your confirmation. The beds were too hard. Did not sleep well. The corridors do echo and we were next door to a very noisy family - just bad luck. Can't think of anything to be added. kitchen equipment not so good. I booked very last moment (hour before I arrived quite late at night) but in spite of that I was hearty welcomed. Maki, the owner of the hotel is prestent at work every day himself and work hard from 7 till 24 taking care of all his guests. If you look for the place where you meet owners of the business and people who put heart into their work that is a place. Just across the street you can enjoy the beach with umbrellas for the hotel guests. 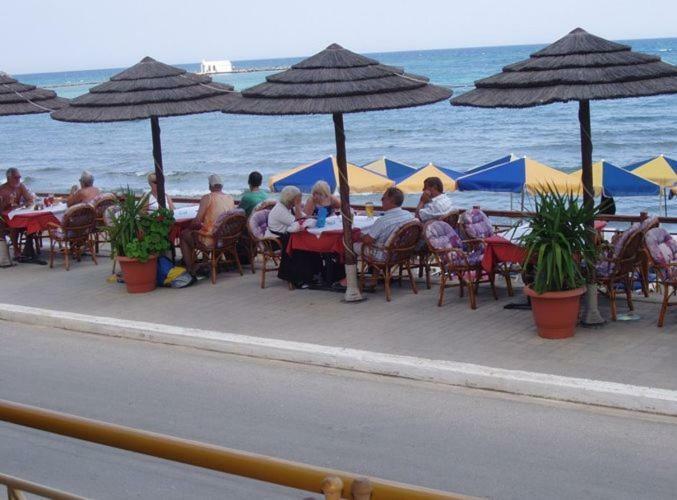 Hotel is located very close to the multiple cafes, tavernas, boutiques, big children playground and night life attractions but still a bit on the side, what makes Sunlight Hotel place where a good rest is possible. It is very touristic location and if you are more for wild beaches you should travel to differents parts of Crete, but at the beginning of May while I was travelling atmosphere was still serene, trancquil and relaxed. Big plus for spacious rooms with good kitchen anex, good size tables, and a couch. Great food in the hotel restaurant. The only thing for us was the beds were quite hard. We had a great room on the second floor with a sea view. Some of the rooms are below road level which don't look great.